Here’s a little review of saturday’s workshop. 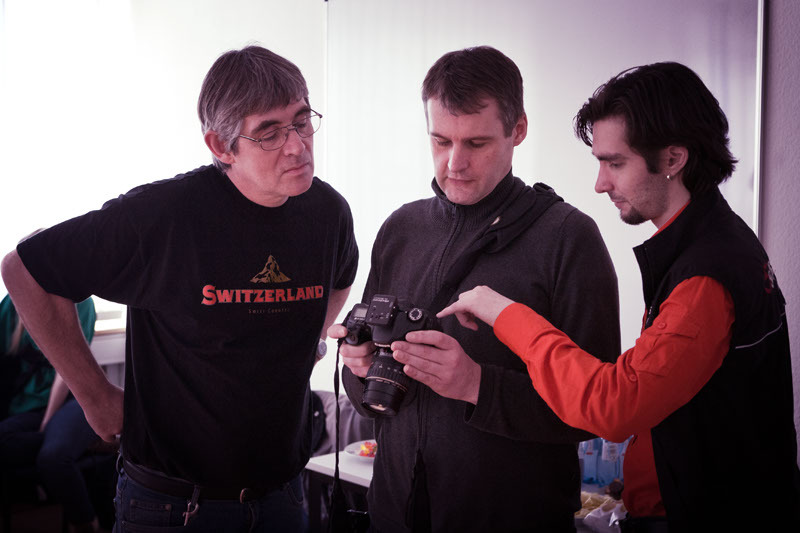 One of the pictures from MiGel’s workshop in Darmstadt – made with just 1 flash and only processed in RAW. We started by discussing the parameters needed to be dialed into the camera when working in a studio environment. This means white balance, shutter speed, aperture and ISO-sensitivity, of course. 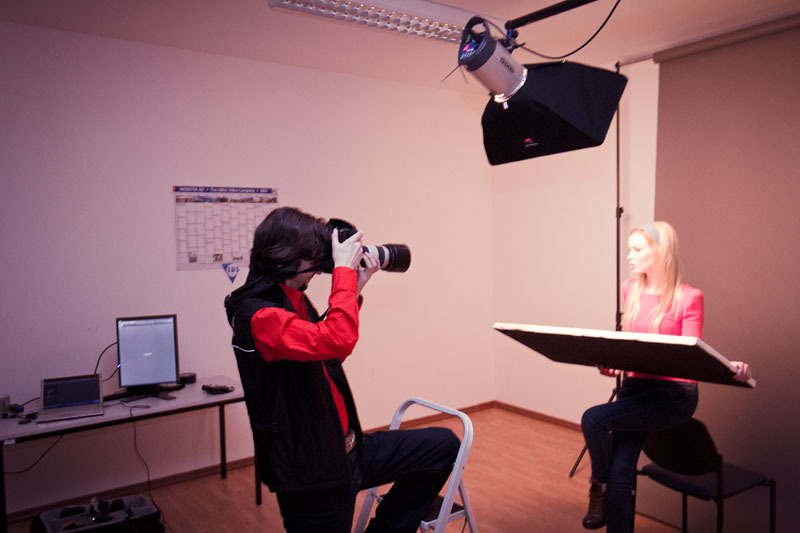 After explaining the basic functions and switches of a studio flash we throw the participants in at the deep end. Each had to build up a simple one-flash-setup for themselves and shoot the model in it. The purpose was to get to know the problems and difficulties such a task brings along. Of course I gave a lot of hints even at this early stage. After this first shock everyone was well aware of the complex task of shooting a model in the studio and very attentive as I showed the first setup. And it proved to be a difficult one with just a pretty cheap flash and a reflective umbrella. The rather dark modelling light (with 150 Watts of power) and the pretty hefty spill the umbrella produces makes it very hard to get the light into the right angle for rembrandt lighting. The high-key lighting of setting two was much easier to achieve and produced a totally different look. Here are one more result and some more images of the workshop.